I read about this stuff on a blog somewhere, I was trying to find some miracle to get the gray stains out of my white collared shirts. I love wearing white dress shirts, but I cant stand how the collars get so dirty, and I figured because the stains were so old that they were impossible to get out.. Well, Im happy to say this stuff works miracles. I had to buy it online, at a cleaner supply store – but you should be able to find it at ACE Hardware. Easy to use – spray it on, wait 10 minutes brush it off, and launder. I actually noticed the stains were gone before I even through it in the laundry! One thing I will say is that spraying the can will put out some harsh fumes. Do it with the window open! My husband drinks a lot of protein shakes. Most of them taste pretty horrible. 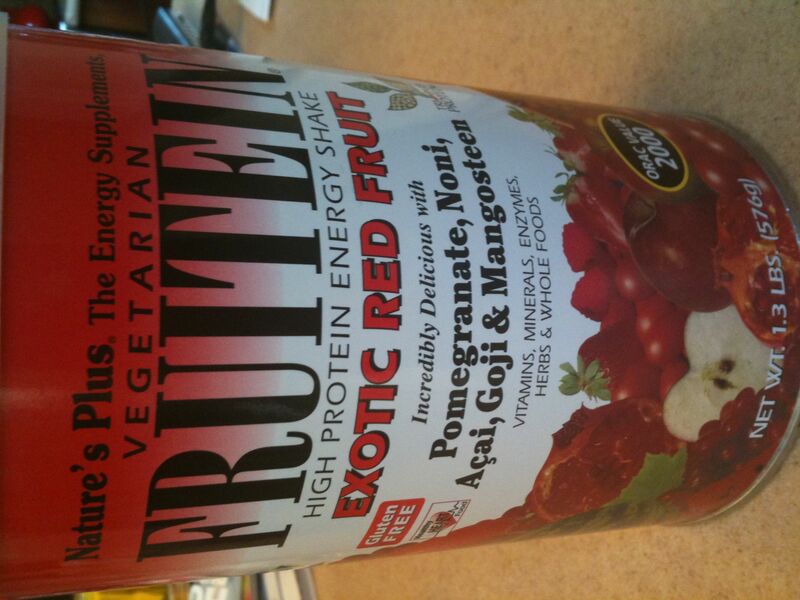 I picked up a can of Natures Plus Vegetarian Fruitein – in Exotic Red Fruit. Its loaded with red fruits and vegetables – and when mixed with milk (I mix it with So Delicious Coconut Milk) it tastes absolutely delicious. Like a fruit smoothie. 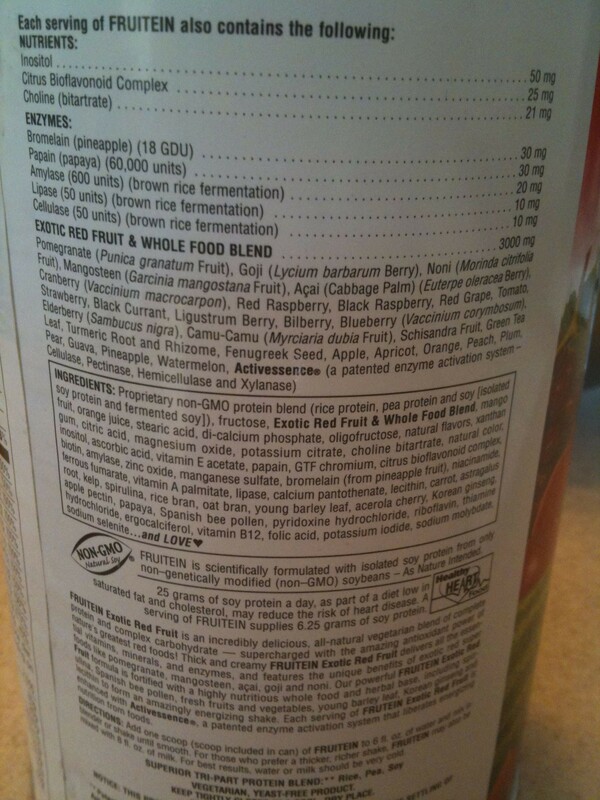 Check the ingredients list – its got every red fruit you could want (Pomegranate, Goji, Noni, Acai, Raspberry, Strawberry, and even some none red fruits like apricot, pineapple, pear and guava. I feel like its a girly protein shake, although my hubby likes it too. My newest addiction. 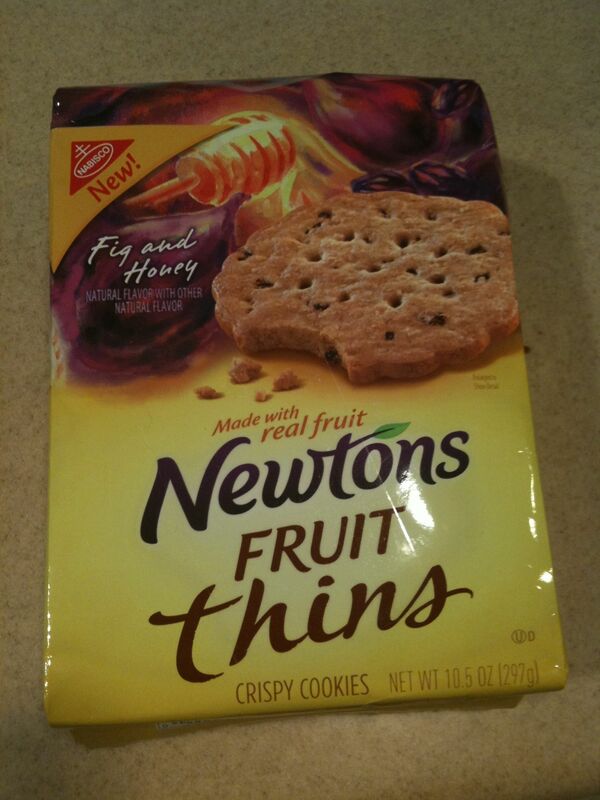 Newton Fruit thins are these little cracker-like cookies that have this wonderful thin shortbread consistency, with little chunks of fruit bits and whole wheat. I have tried every variety, thanks to my couponing habit and I can say that each flavor hits the spot. Not too sweet, perfect. This will be the next big thing in snacks. Just discovered pingg.com – really cute free customizable ecards, with an option to snail mail your cards and manage your invitees! So many templates to choose from, there is an invite for anything you can have a party for. 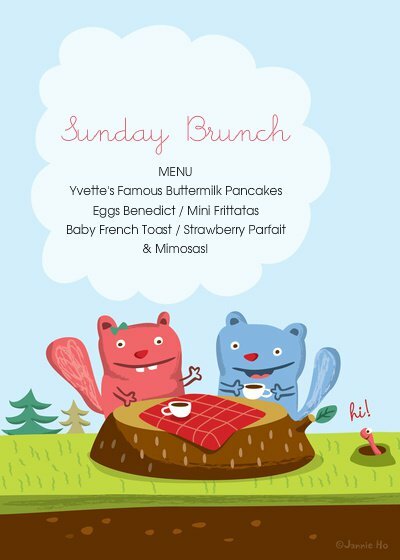 For me, its Sunday Brunch! Cute huh?